There is no friendlier audience! 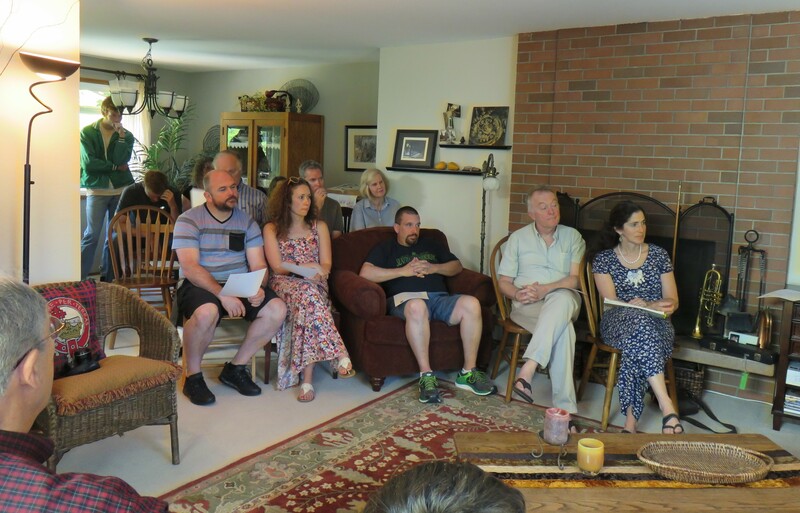 Eight private trumpet students of mine performed for their parents, relatives and friends on 5 June at the Sixth Annual Trumpet Recital held in my home–four in the morning session and four in the afternoon. They ranged from beginning band members to a high school senior who recently played in Inglemoor High School’s Wind Ensemble in Carnegie Hall in New York! (See my post of 29 April 2015). In the afternoon session, three of us (including me) played “Funeral March,” a bugle call in three-part harmony. The final performance of the recital was billed on the program as “Theme from ‘Trumpet Concerto in E-Flat Major'” by Joseph Haydn. It was a spoof, however. 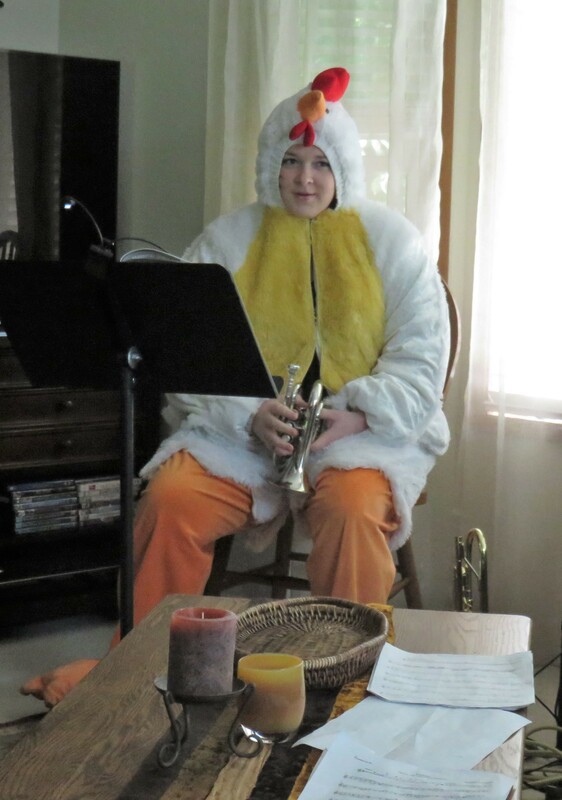 The trumpeter, a high school junior, appeared from the basement dressed in a chicken suit and played “The Chicken Dance.” Refreshments followed. Recitals are fun, and weekly lessons pay off in many ways for every student and family. Photos are by Nancy MacDonald. Please click on any photo to enlarge it. This entry was posted on September 20, 2015 at 10:07 am	and is filed under Recitals. Tagged: band, bugle, Carnegie Hall, Inglemoor High School, lessons, recital, The Chicken Dance, trumpet, Trumpet Concerto in E-Flat Major, trumpeter, wind ensemble. You can follow any responses to this entry through the RSS 2.0 feed. You can leave a response, or trackback from your own site.